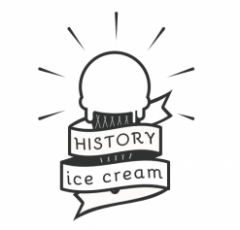 On this page I want to explain the criteria I’ve used for the inclusion and rating of the various ice cream shops and historical sites you’ll find across this website. This website is focused on independent, local homemade ice cream shops and leaves out international chains. I do include local and sometimes national chains but at some point when they get too big and corporate they will be excluded and I’ll decide this on a case by case basis. I’m not saying that large chains don’t produce good ice cream though and I do intend to cover them in a separate section but they aren’t my main focus for the site. I also won’t be including shops and restaurants that don’t have a strong focus on ice cream. I’ve come across many restaurants already that have great homemade ice cream but since it’s only a small part of their menu and not their primary focus, they also won’t be included in the primary rankings. However, these restaurants can appear in the ‘honourable mentions’ or ‘misfires’ sections on each page. Other desserts such as frozen yoghurt, bingsu and sorbet also won’t be included. I will cover ‘vegan ice cream’ from time to time as its a popular trend but it will be somewhat reluctant as without dairy, it’s not technically ice cream. My hope for this website is that it will expand to cover cities all over the world and there’s no way that I’ll be able to try all the ice cream shops in all those places, nor would it be good for my waisteline, so I’ll be relying on research, crowdsourcing and trusted sources in many locations to create our ice cream shop guides. One last thing I want to mention is that I’m not an ice cream expert by any stretch so you should take my personal experiences and recommendations with a grain of salt. I’ll try to keep that in mind myself and report the facts along with my opinions so you can make up your own mind about which shops to try. If you take issue with any of my ratings or rankings then I’m open to being questioned, challenged and potentially having my mind changed so please don’t hesitate to get in touch (whether you’re an ice cream shop owner or passionate eater). I recognise there are lots of other angles that other people can find interesting so I’ll try to give links to other sources where possible so you can read further on those things. I don’t consider museums to be ‘historical sites’ themselves unless they are located in or on an actual historical site or building. However, I have a separate section on each page with good museums in each location.